Full support. This idea is awesome and should be added. Another thing I've always wanted to have be able to wear armor and hold items is endermen. Maybe you could add something about endermen to the thread? I know it is about slimes, but maybe you could change it so it is about all the mobs you think should be able to wear armor and hold items. Make that supporter list 65! I will, thanks for your support! So if you throw a Helmet at it will it put it on? Yeah, if the helmet item is on the ground, then sure. Simple yet awesome and fits minecraft! You have my full support. 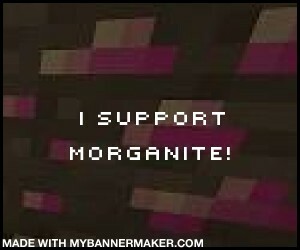 I think this should apply to other mobs too, such as endermen. Although the enderman might be op. Hmm. While pointless, apart from to buff an under-appreciated (BEST MOB), at least what it does can't be achieved by easy redstone like a certain other suggestion I just posted on. That's the intention. Thanks for the support! Perhaps, but for the time being I'll just stick to slimes.